I know there is the saying that ‘it’s nice to come home to your own bed’ but I have to admit that recently, I have been staying in some seriously comfortable hotel beds. 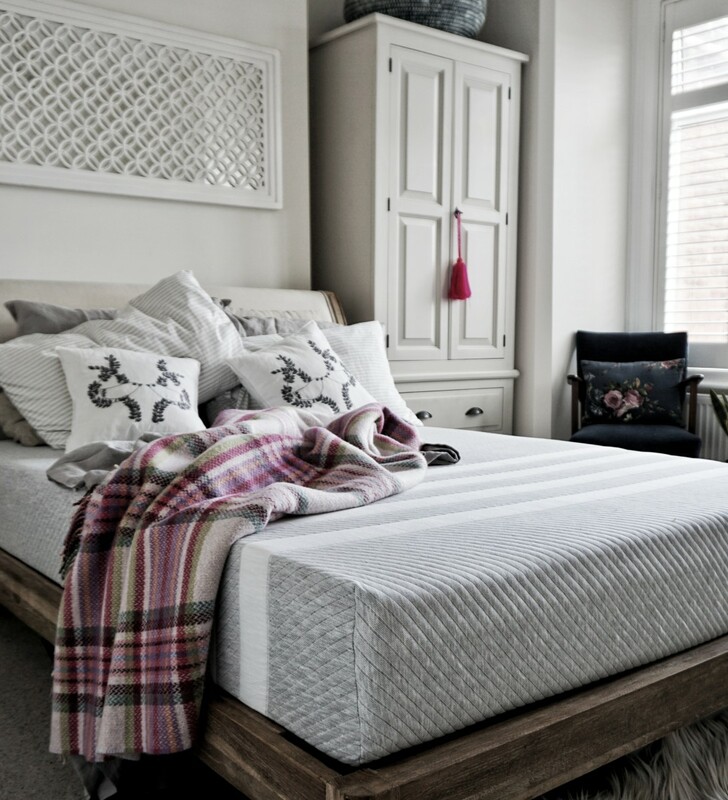 A combination of a supportive mattress, the puffiest pillows and the softest bed linen have provided me with some of the best sleep I’ve had in years and an ongoing conversation with Ross that ‘we should try and recreate the same experience in our own home. Sleep has been rather a hot topic in our household anyway at the moment. Preparations for baby number two seem to go hand in hand with constant reminders of how sleep deprived we are going to be. 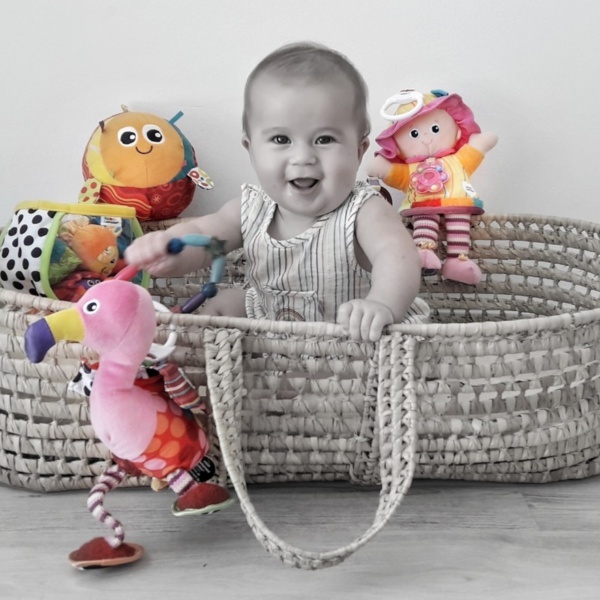 When Leesa invited us to try one of their memory foam mattresses, it felt like a sign that we should review our current sleeping situation before the madness of early parenthood kicks in again. The Sleep Council recommend replacing your mattress every seven years. They say ‘After seven years a mattress has been subjected to over 20,000 hours of wear and tear, we lose half a pint of fluid each night and shed a pound of dead skin cells a year – yuck! During this collaboration with Leesa I realised that it has been exactly seven years since we bought our current mattress, also a memory foam. Now, I know that traditionally the most luxurious mattresses have always been hailed as the pocket spring ones but even these are now incorporating some sort of memory foam within or on a topper which kind of speaks for itself on how comfortable memory foam actually is. I have long been a memory foam mattress fan and so seven years on I was keen to see how they’ve improved. Our Leesa arrived in a compact box, perfect for manoeuvring around our small London terrace house. The tunnel shaped box was obviously an immediate hit with Rex and the cat as well as being a good distraction while Ross and I cut the vacuum packed mattress out of its packaging. First tick went to the ease with which we could set this bed up. 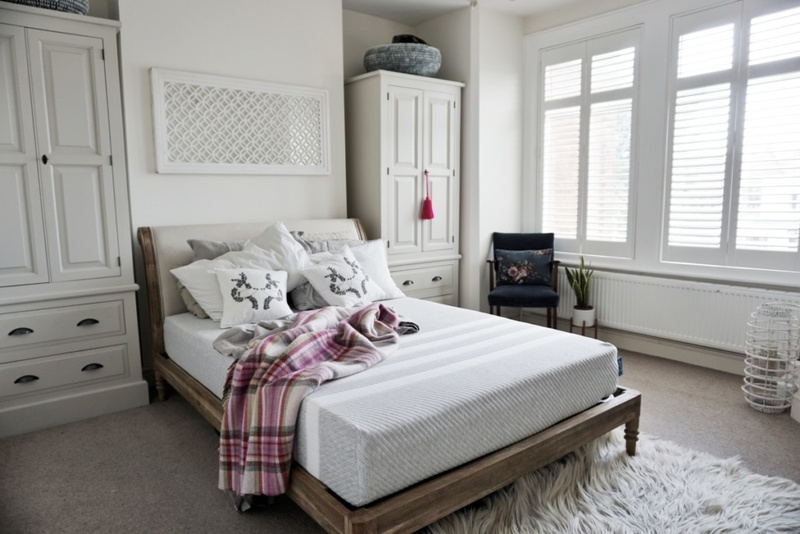 A second thumbs up went to how aesthetically good looking this mattress is – I don’t think anyone can truly say they like the look of a bare mattress but the grey and white stripes on the Leesa are modern, fresh and clean. I was quite reluctant to cover it up. The deciding factor is of course how it feels. 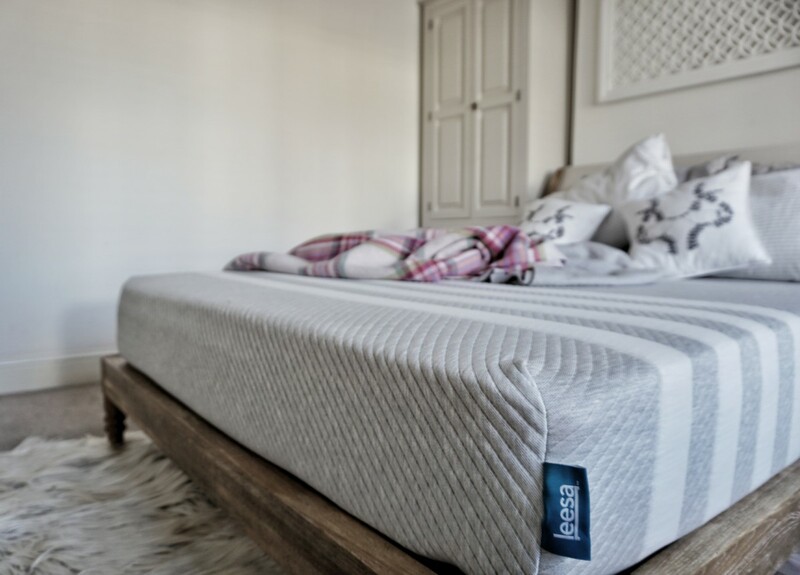 Leesa addressed three areas when they designed this mattress: temperature, contouring and support. 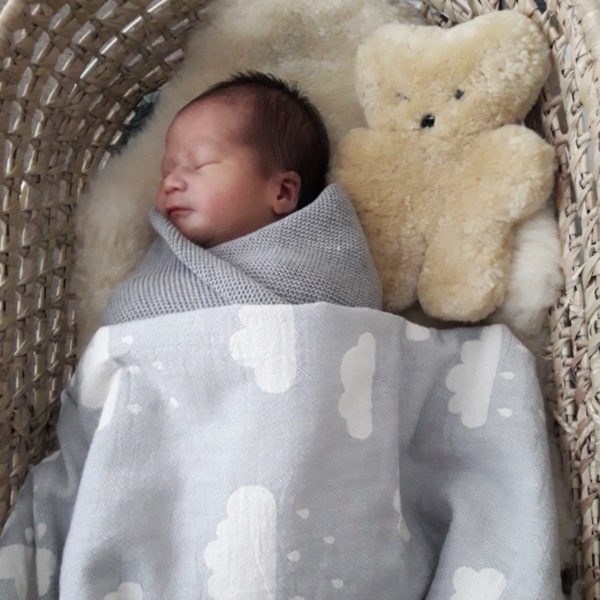 To disclose some private sleep habits; Ross and I always seem be tossing and turning in our sleep but after a week of trialling Leesa it was noticeable that we weren’t waking each other up – you can’t feel the other person move which is a revelation! I also hate being too hot in bed (literally of course) and we both seemed to stay cool as cucumbers thanks to the clever temperature gauging top layer. Overall, we love it. It’s extremely comfortable, just the right firmness but also sort of hugs your body so you feel supported. I loved my last mattress but it’s amazing what your body gets used to and I’m so pleased we were given the nudge to make a change. The first step in recreating my luxurious hotel style bed is well on its way. Stay tuned for a follow on post on how I’m going to dress my Leesa for the ultimate dream sleep experience. Until then sweet dreams. If you’d like to try a Leesa I have a special discount for my readers when you click here. This post is sponsored by Leesa. All opinions are my own.